From overlayering to extensibility: what benefits does it bring you? 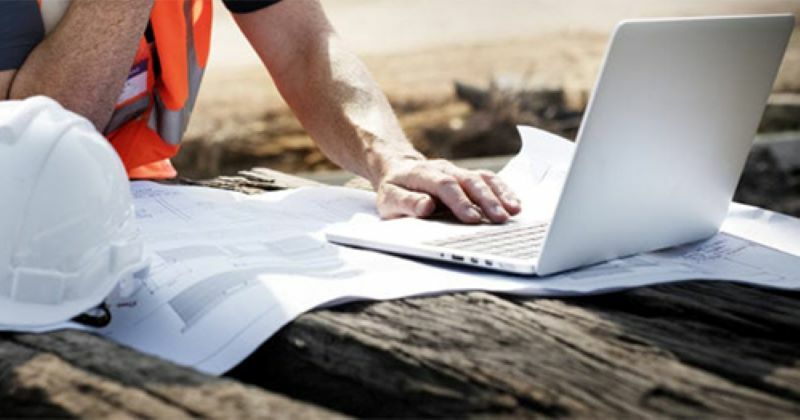 With the extensibility model, it now becomes less time-consuming, less error-prone, and more convenient to monitor, manage, and deliver modifications. In this landscape, our DynaRent Solutions Suite is an equipment-driven rental & services (ISV) solution designed for and leveraging functionalities from D365 FO. This is a strength of the product that historically has been supported through overlayering of the application code. Figure 1. The DynaRent ISV solution offers extensive possibilities for equipment rental companies. The move to the cloud with more agile servicing and frequent updates requires a less intrusive customization model. As a result, updates are less likely to impact custom solutions. This new model, also called extensibility, replaced customization by overlayering in D365 FO. Moreover, using an extensibility model, you can make changes and/or additions without having to manipulate the foundations of the other components in the landscape. The figure below demonstrates this graphically. 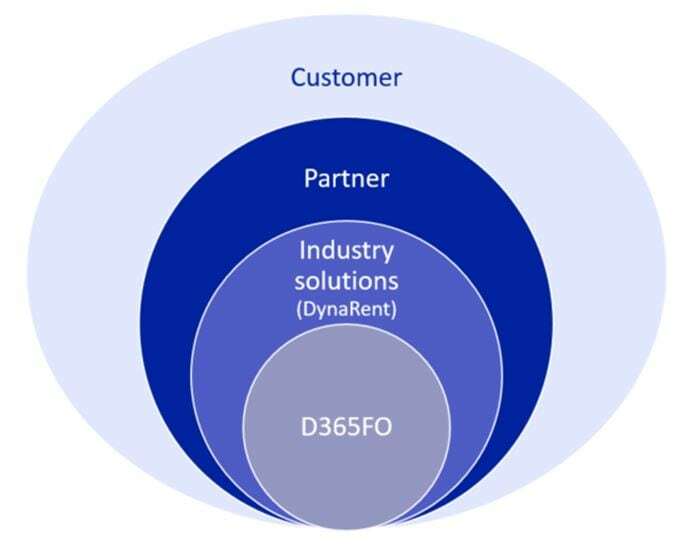 The images below also show the DynaRent Solutions Suite’s position in both models. What are the benefits of the shift? Extension-based customizations reduce upgrade cost. In the past, performing an upgrade (or even an update) could be quite time-consuming when using overlayering. In addition, it was costly because all layers had to be compliant with the changes. This, in many cases, led to time-consuming testing and the merging of code by developers, just to make sure all previous modifications were still functioning as they should before the update/upgrade. Another downside was that, when using multiple layers (ISV, VAR solutions) at once, you sometimes had to rely on the update/upgrade path of the other solutions to be able to fix an issue with non-compliant, conflicting code. With extensibility, all extensions also have their own “core” and integrate via the Cloud. Making this dreaded update/upgrade process, and its downsides, finally a thing of the past. Extension-based customizations improve the development experience. With the extensibility model, it now becomes less time-consuming, less error-prone, and therefore more convenient to monitor, manage, and deliver modifications on separate extended solutions, like our DynaRent ISV solution. Nowadays, we only need to focus on developing, testing, and deploying our own features and functions. This allows us to offer a more flexible as well as leaner approach. If you want to know more about the benefits of extensibility, the shift from overlayering to extensibility, and/or how we deal with this shift in the development of our DynaRent solution, please feel free to contact us below.